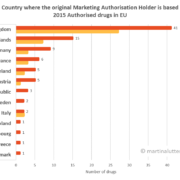 It is interesting to have a look on activities of drug developers in area of antibody-inducing vaccines directed against non-infectious diseases and some unconventional indications. These vaccines have been in most cases developed so far as treatment vaccines. This is in opposite to infectious diseases vaccines used as prophylactic vaccines. 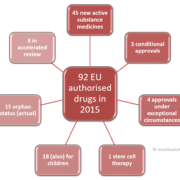 Despite promising late stage candidates, with some very recent failures, there is still no antibody-inducing vaccine approved targeting other than microorganism antigens (i.e targeting self antigens, addiction molecules antigens and others). 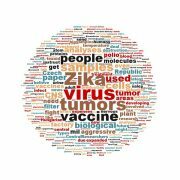 As is also observed in other drug development areas, most of the vaccines are focused on different cancer types and among these, predominantly on solid cancers. 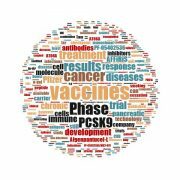 Here prostate and breast cancer attracted the most attention of vaccine developers, followed by pancreatic, melanoma, non-small cell lung cancer (NSCLC) and colorectal cancer. 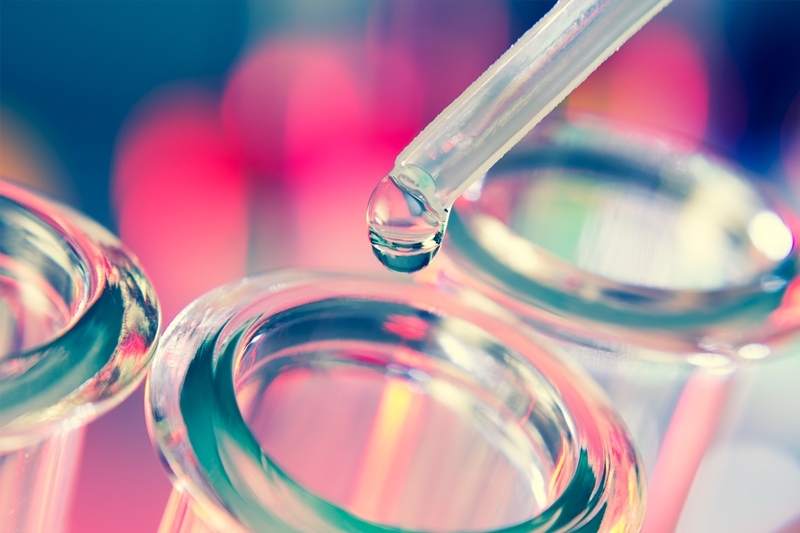 There are some vaccines which are tested in clinical trials for multiple cancer indications. The second most developed area is that of vaccines against neurodegenerative diseases, predominantly against Alzheimer’s disease. 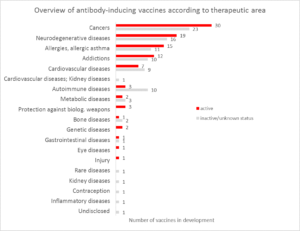 Despite a lot of immunotherapy (including mAbs and plasma infusions) failures in recent years there are still more than 10 vaccines in active development against Alzheimer´s disease, targeting one of two main molecules thought to be involved- Aβ and Tau. And, there are some other specialties here like a first ever vaccine for Parkinson´s disease targeting α-syn or a vaccine against Huntington’s disease or Multiple system atrophy. The third most active development is in allergy indications. Most of the vaccine efforts are still focusing on allergen specific vaccines, though the approach is different from the whole allergen hyposensibilization. 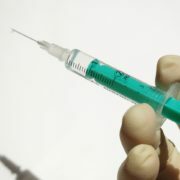 There are however also attempts to have a general IgE vaccine to be used in all allergies and IgE-related diseases. Interestingly, people believe that vaccines can help also with different human addictions– for smoking cessation and drug abuse, as is seen from the fairly high number of vaccines in development for these indications. There have been some failures, especially in smoking cessation efforts, however, there are still some vaccines for this indication in development. 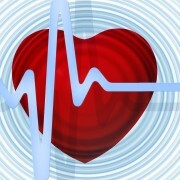 Cardiovascular diseases attract the attention of all drug developers. This is no different in the area of vaccine development. Principally there are vaccines in development aiming at treating hypercholesterolemia and hypertension. It will be interesting to observe the fate of the cholesterol-lowering vaccines in the light of recent findings showing no significant effect of the reduction of “bad” cholesterol, induced in that case by a small molecule targeting CETP, on cardiovascular diseases rate. 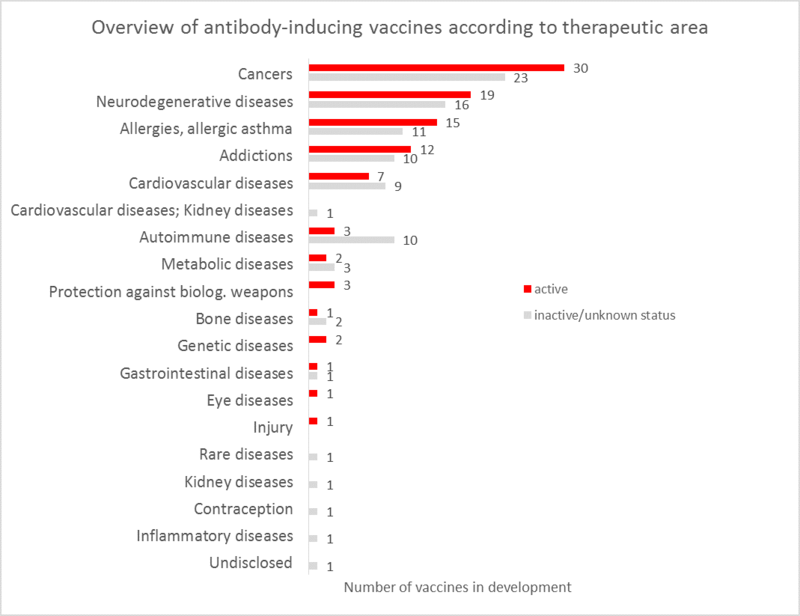 The 6th most popular area with a lot of activity in vaccine development has been autoimmune disorders. However, there are more stopped vaccine projects than projects in active development at the present time. All in all, out of 188 vaccines in the report “Active immunization for unconventional indications”, 97 is still as of today in active development. There were discontinuations of some late stage candidates in recent weeks. The aim of the above mentioned report is to provide information about vaccines in development for unconventional indications and non-infectious diseases. 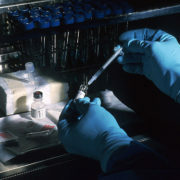 Further focus is placed on sophisticated antigen(s)-specific vaccines and vaccines where induced polyclonal antibodies are claimed to be the main mode of action. The scope of this report does not include vaccines against microorganisms which are used for non-infectious diseases (e.g. cancer vaccines targeting HPV). Also, the term “vaccine” as used in this report does not mean a monoclonal antibody (mAb) or immunoglobulin (IgGs) infusion.